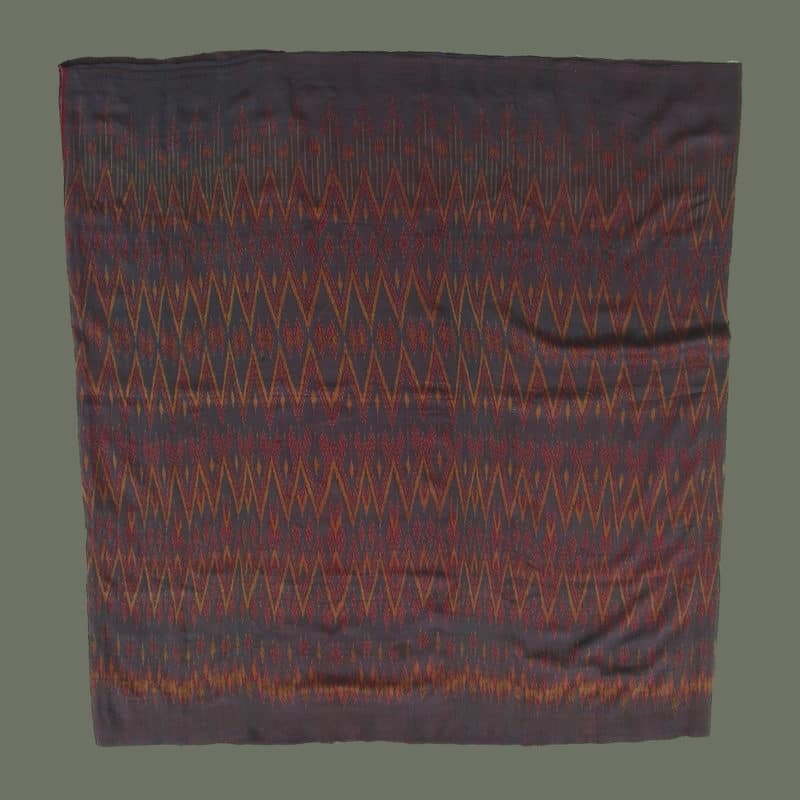 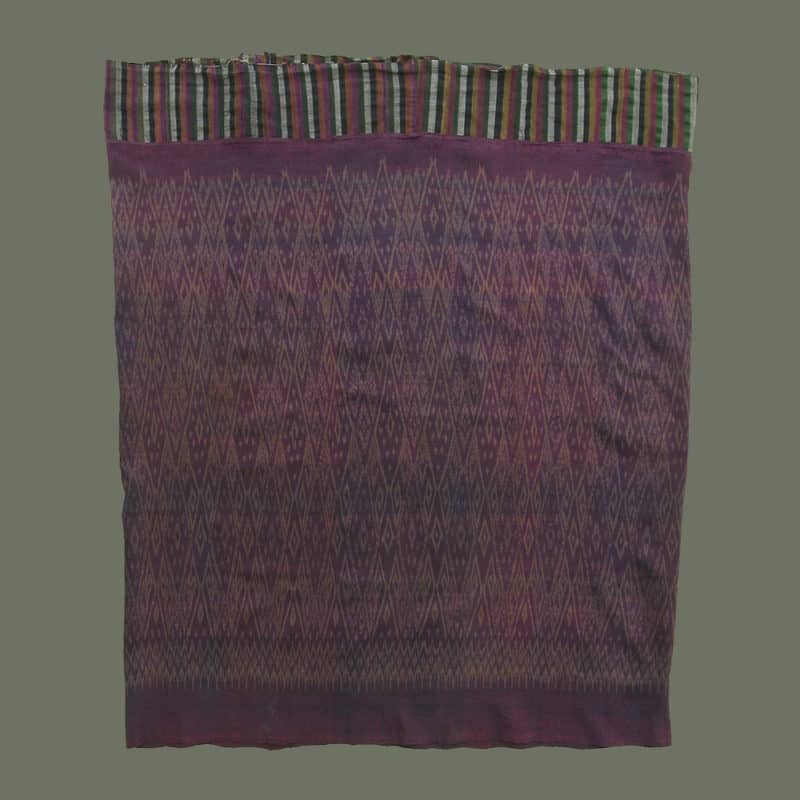 From Roi Et Province in NE Thailand, this handsome ‘phaa sin’ uses a rich palette of colors including dark pink, teal green, dark gold, soft red, and brown. 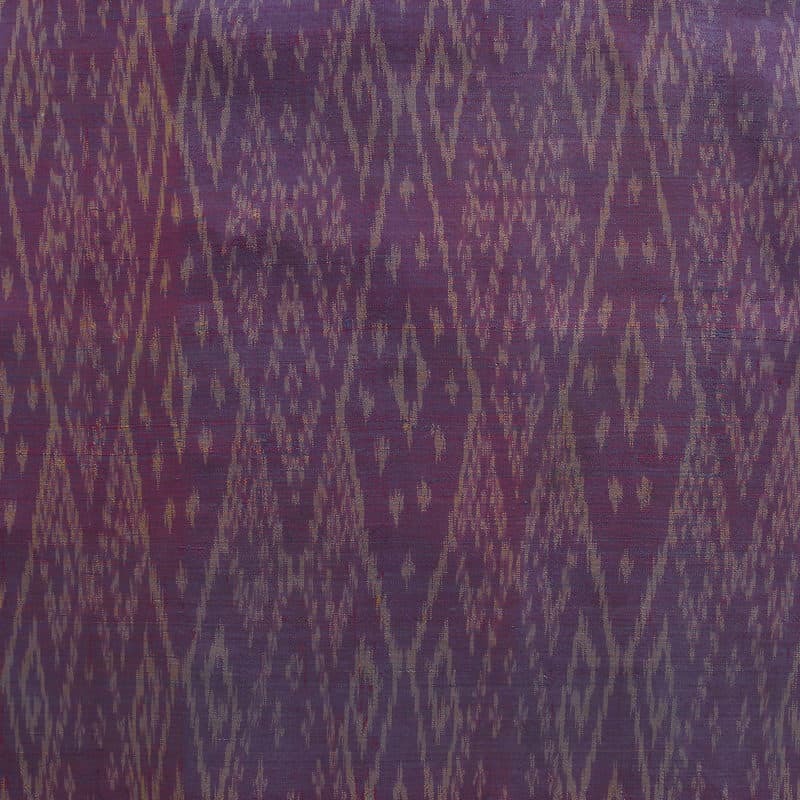 Unfortunately, the camera cannot pick up the lustre and depth that results from this combination. 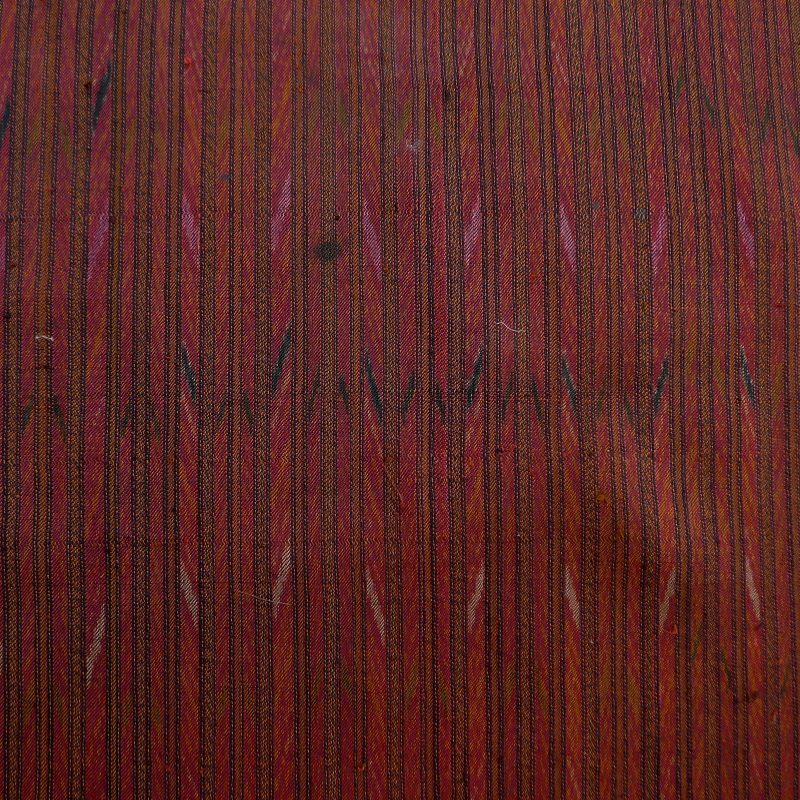 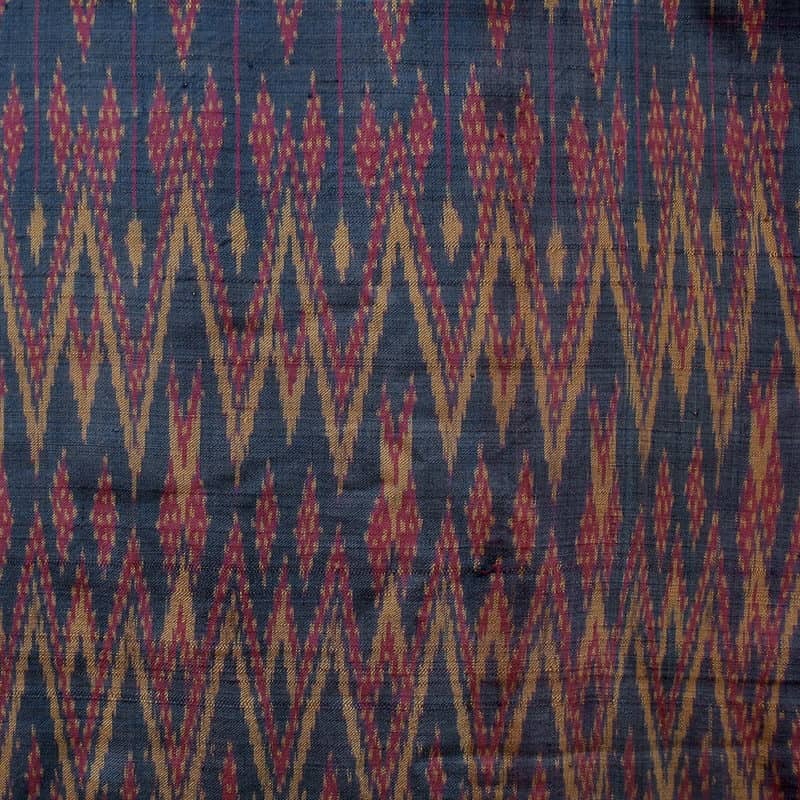 The pattern is rows of nagas alternating with a band of stripes. 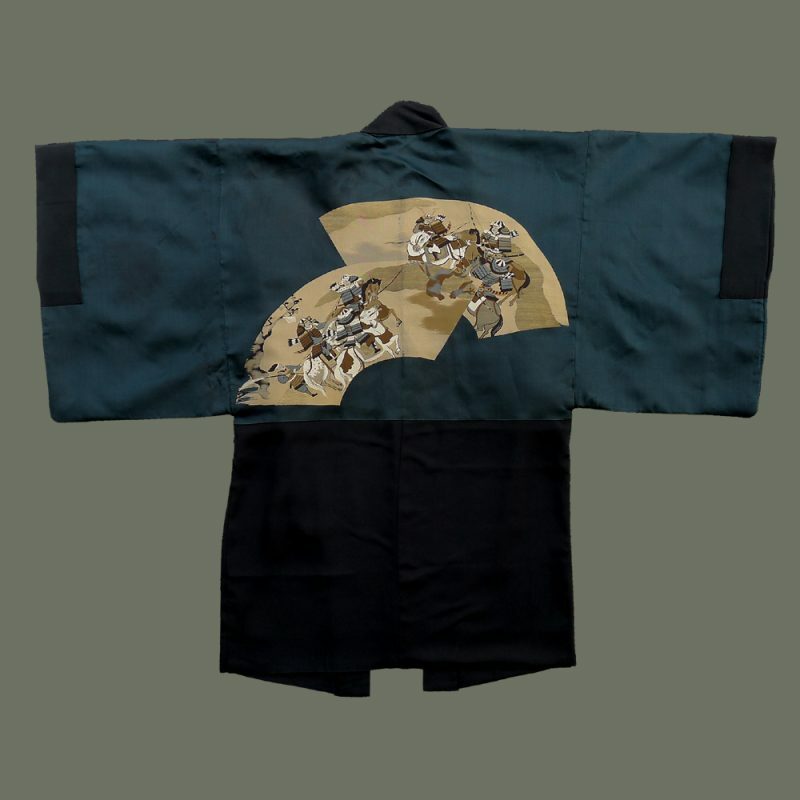 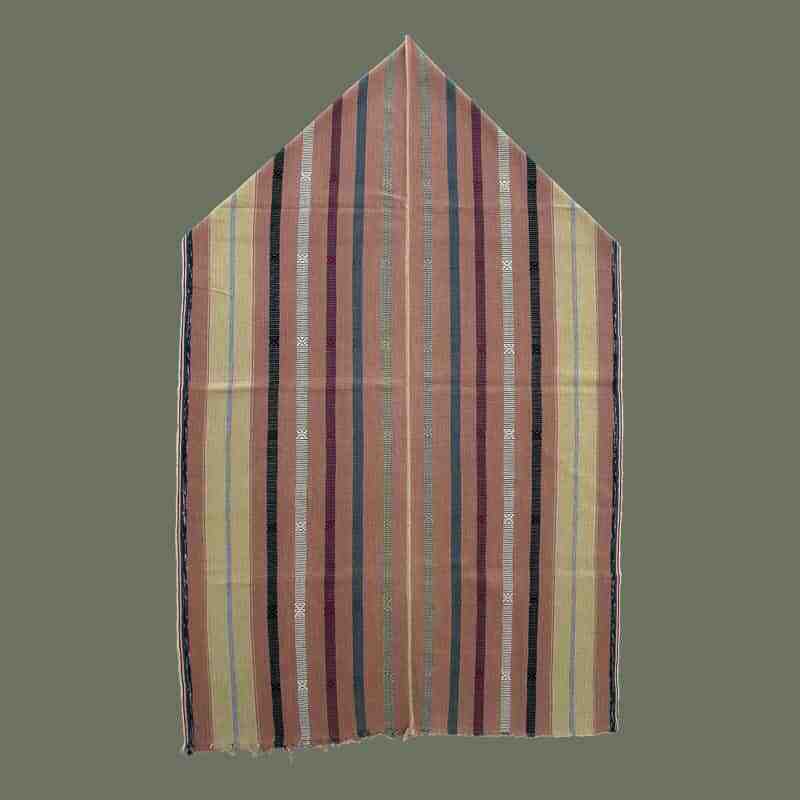 It is of very soft silk and is in excellent condition. 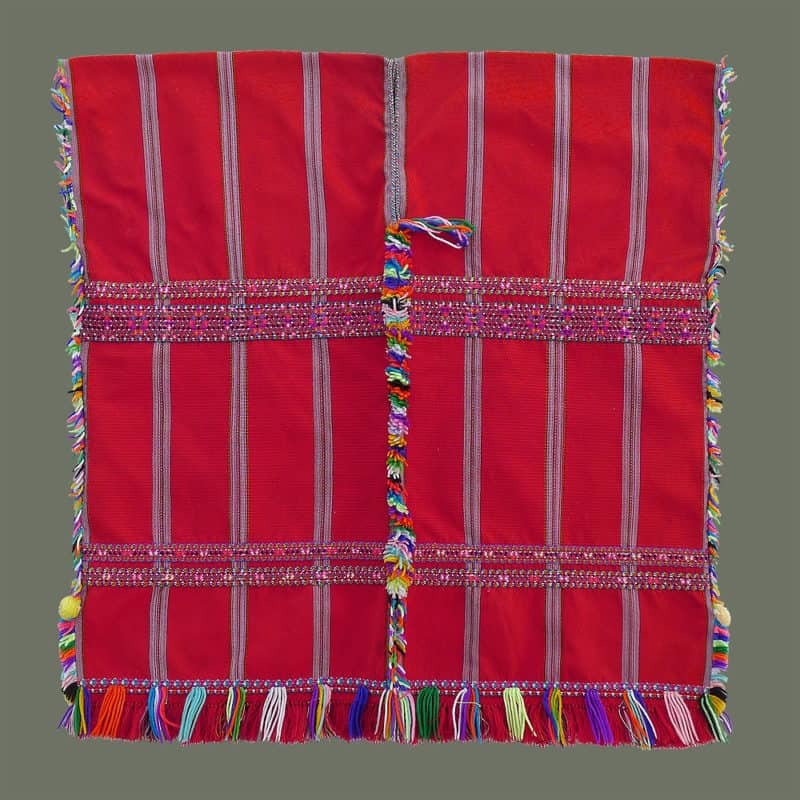 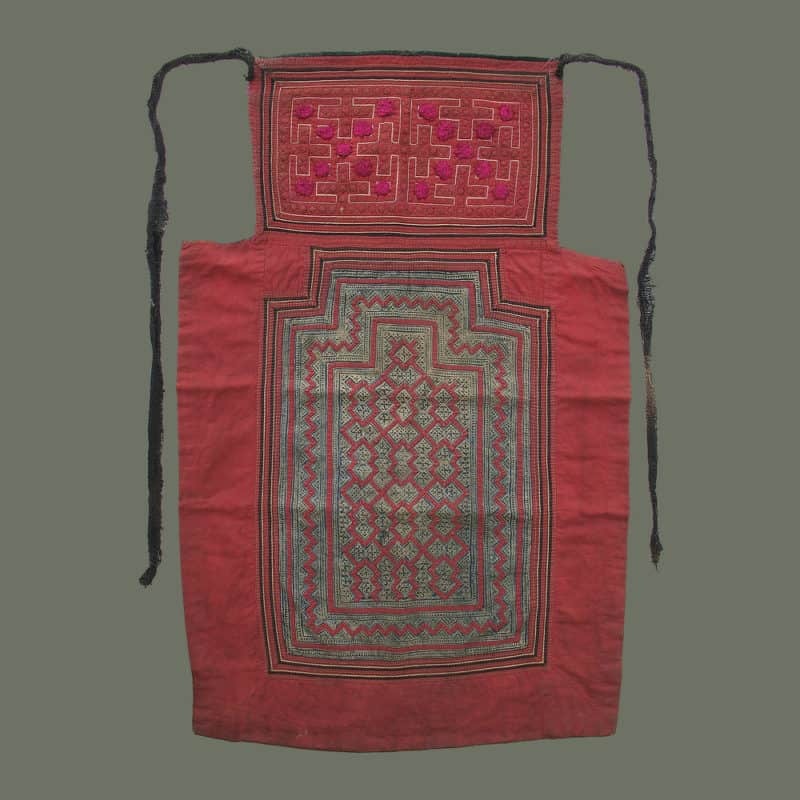 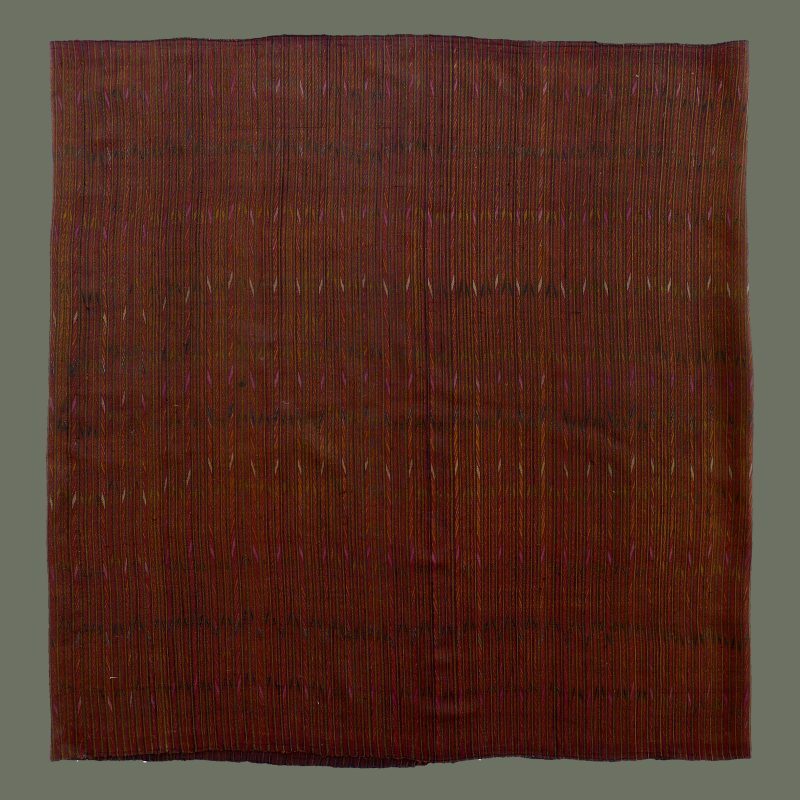 (Please see Susan Conway’s Thai Textiles p.62 for a similar example).